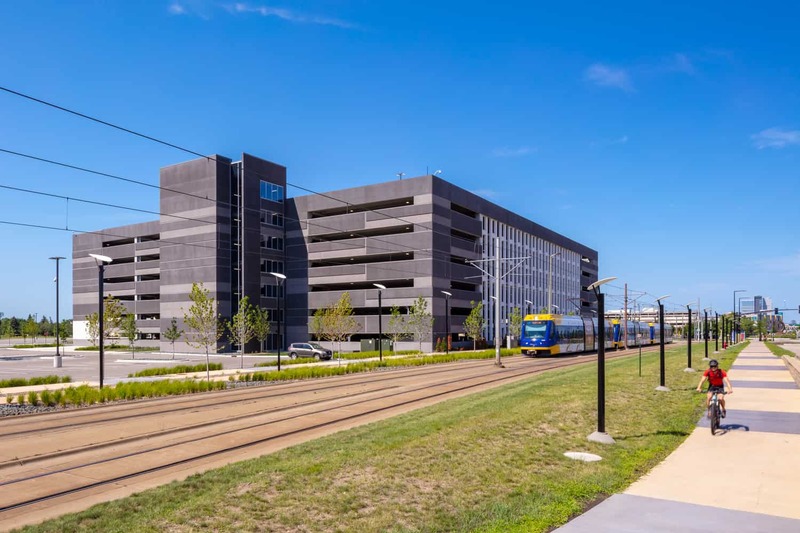 A new 1,650-vehicle parking ramp supports the growing HealthPartners, Inc. corporate headquarters campus at Bloomington Central Station, a prominent development near the Mall of America and the Minneapolis-Saint Paul International Airport. The design team master planned the ramp so that the initial structure accommodates some of the parking space requirements to support HealthPartners’ corporate workforce on day one. The plan also frees up surface parking areas for building development, but with a structural system to allow horizontal expansion in the future. Material selection and design planning are forward-thinking, with an emphasis on safety, flexibility, and growth. Precast concrete was selected for its ability meet cost, schedule, durability, and expandability project goals. 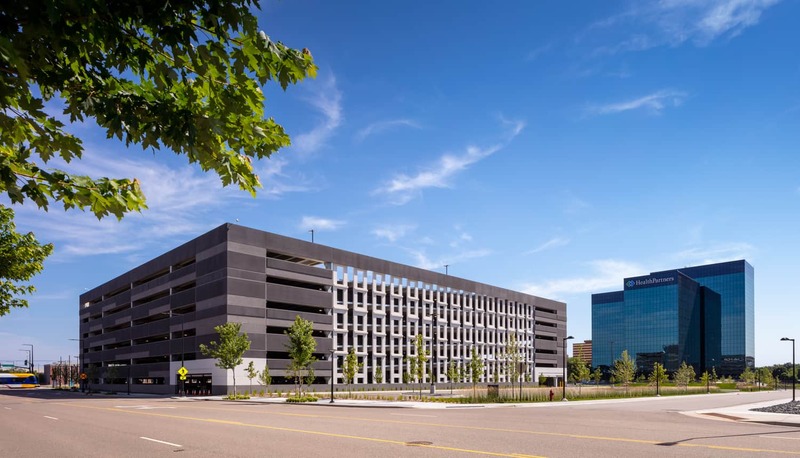 BWBR partnered with Walker Consulting for parking planning, which helped to maximize space efficiency and reduce the structure’s size. This was especially important because the site’s proximity to the airport triggered FAA building height restrictions. The design’s simple shape and restrained color scheme allowed the ramp to blend with the surrounding campus and achieve a distinguished appearance while not distracting from current and future buildings. 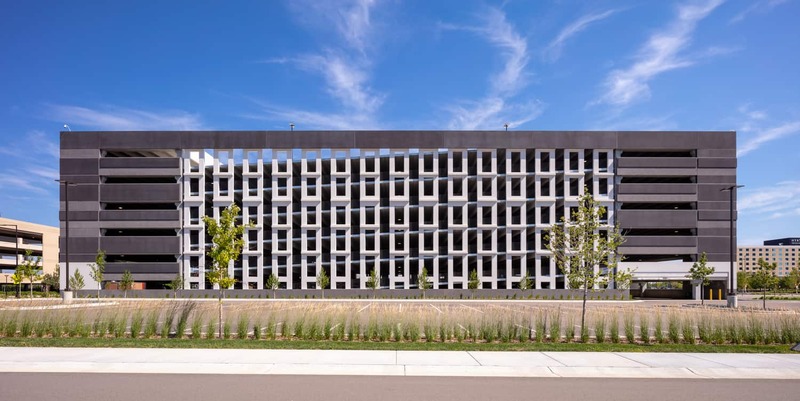 Variations in precast finish created pattern and visual interest over the balance of the large facades. 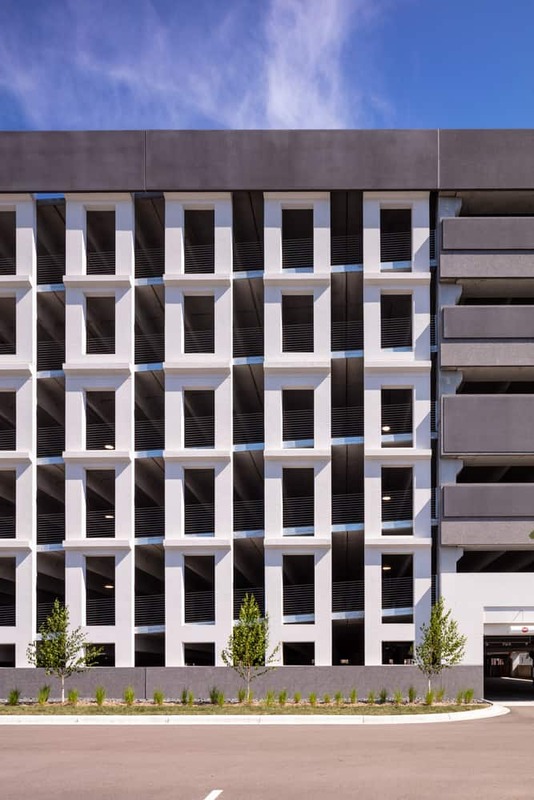 The contrasting white color and relatively intricate precast ‘light wall’ panels provide bold interest, as well as simplifies structural expansion and vehicle circulation in future addition.